San Jose First United Methodist was founded in 1847; the early congregation split for geographic reasons into First UMC Santa Clara and First UMC San Jose. Thus they are both the first Methodist Congregation in California. 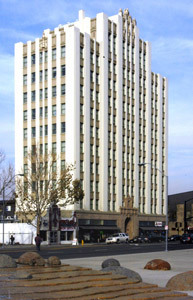 It has been located in various buildings in the downtown of San Jose, and it has been located at the corner of East Santa Clara Street and Fifth Street since 1910. In 1991 the historic Church structure was destroyed by fire. Instead of leaving the neighborhood, the congregation chose to remain in the same location and has expanded its presence in the downtown community. The process of rebuilding after the fire, although long and difficult, has tested and confirmed the commitment of the congregation to “the heart of the City” of San Jose. In addition to being a place of worship, San Jose First is also committed to improving the San Jose community. 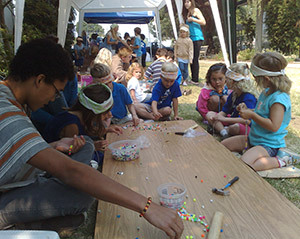 The Church has operated many youth programs, including after-school programs, a music program, and summer camps. San Jose First has also actively reached out to the poor in the community in helping to found Inn Vision (formerly San Jose Urban Ministry) and other organizations that provide meals to the poor and that address the needs of the homeless and those at risk of homelessness. 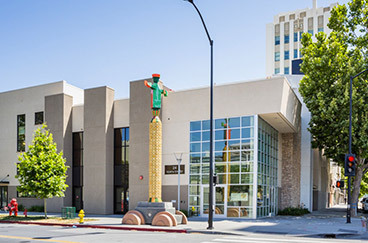 In 1999, San Jose First created the San Jose First’s Job Search and Readiness Center to assist individuals and families in finding viable employment. 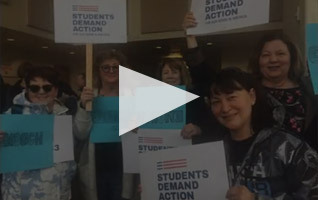 The program included training, individual case management, voice mail, Internet and e-mail fax services, job readiness classes, transportation assistance, and general services (i.e. rental assistance, help with appropriate clothing or tools, and groceries). In 2001, San Jose First incorporated the Job Search center into a separate nonprofit corporation, San Jose First Community Services Inc. (CSI). San Jose First CSI received its funding from the Church congregation, community groups, foundations, and government grants. This ministry helped hundreds of people. As a part of its continuing commitment to the community, the Church sponsored the development of the Vintage Tower Apartments, providing affordable, high-quality apartments for low and very-low income families downtown. A church-affiliated company then managed the $2.5 million dollar renovation project that included historic renovation, improved residential units and retail spaces, a new courtyard and exercise facility, exterior paint and seismic upgrading. The dedication of the renovated structure in 2005 was a great achievement for the Church and its partners. The Vintage Tower is fully occupied and leased for the first time in many years. In January 2014, the time finally came to open the doors of our brand new building to the community. San Jose First’s new facility includes a sanctuary and space for our programs, including a daycare and pre-school center, a youth center, community meeting space, and chapel. 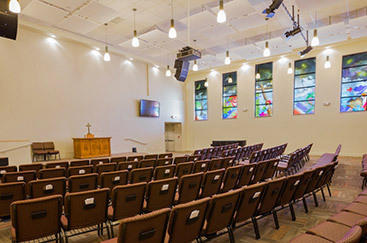 The sanctuary features beautiful art glass that tells a special story. We welcome you to come see it first hand and experience the welcoming community at San Jose First.